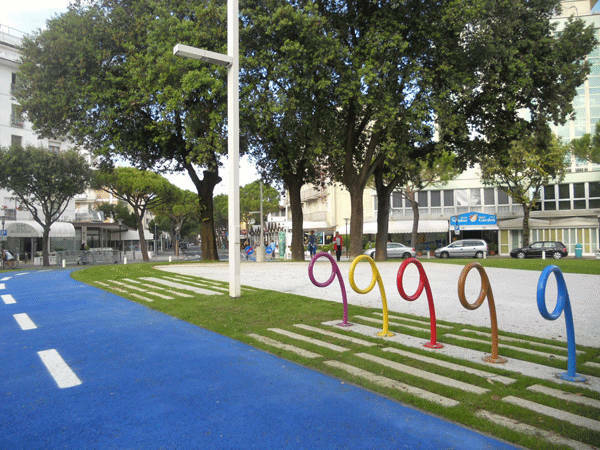 Piazza Nember by Valeri Zoia and Stradevarie Architects, Jesolo, Italy. Look at the path. 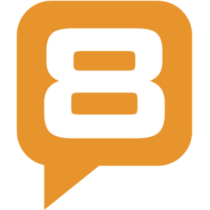 It leads the user to a social nodal space. 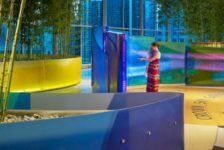 The Piazza Nember in Jesolo, Italy, by Valeri Zoia and Stradivarie Architects, is a well-designed space for social activities with its pathways of contrasting colors, and play areas that allow children and adults alike to experience the joy of play and meeting new friends. Location The town lies north of Venice, between Eraclea and Cavallino-Treporti. Jesolo gives its name to a lagoon of 22 square kilometers (8.5 square miles) on the Adriatic Sea, between the rivers Sile and Piave. The urbanized area lies on an island of sorts, bordered by the Piave on the east, the Sile on the west, and an artificial canal called Cavetta. The city’s economy is mostly based on tourism. Jesolo is a famous seaside resort, thanks to its abundant holiday facilities and its 15-kilometer (9-mile) beach called Lido di Jesolo. 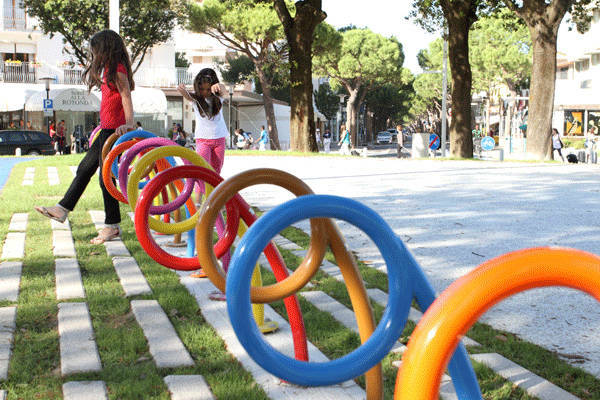 At the height of its tourist life, Jesolo was hosting 6 million tourists a year. Currently, this has dropped to about 4.5 million tourists a year due to increased competition from newer resort towns. 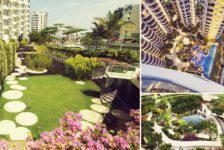 The Project The piazza design’s defining features come from the arrangement of the spaces dedicated to the infrastructure. 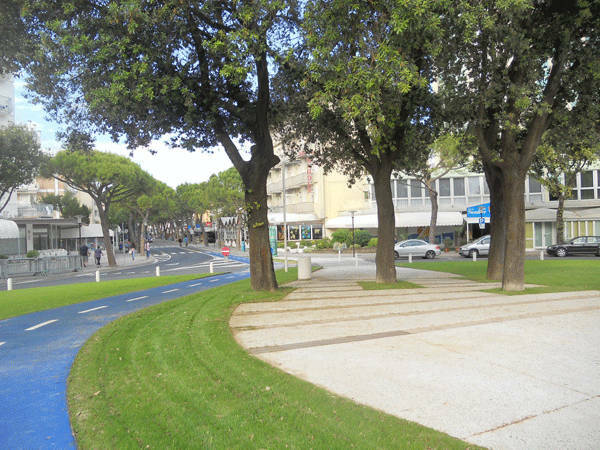 Traffic at the Verdi Street-Dei Mille Street cross and the orthogonal way (Vespucci Street) are resolved with a traffic circle with a central green space of 646.29 square meters. There are some trees (Quercus ilex and Acer pseudoplatanus) next to a 2.5-meter-wide sidewalk. 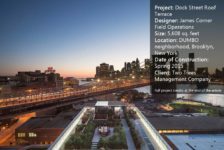 The goal of the piazza design is to provide a requalification of of the space, giving roominess and a functional organization more in accordance with a square and providing people with places to have a rest, meet people, walk around, and organize public events. 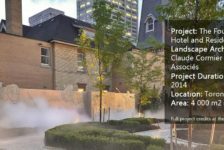 At the same time, the project deals with the connection, both in a visual and functional way, of the two streets (Dei Mille and Verdi), which had looked perceptively “far” from each other. 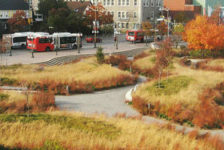 They are now linked by paths for walking and cycling. 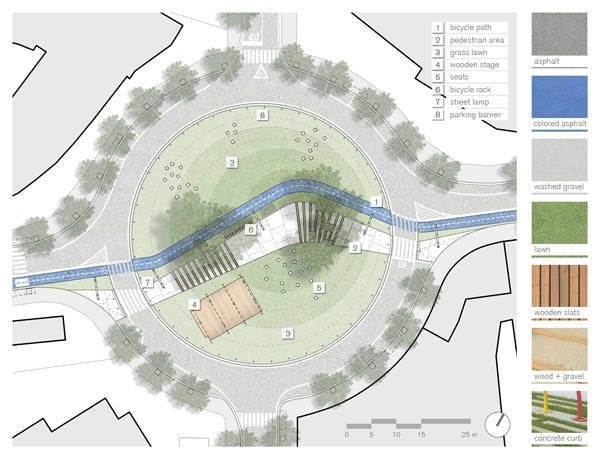 The project, implemented with limited funds, maintains and extends the green space and reduces carriageway space by creating a traffic circle while keeping the existential state of the roads. Roadways – Existing luminaries have been preserved. Walking and cycling track – Five double-height elements have been placed to light the two tracks simultaneously. Green areas – The lighting system focuses only on the single-seater places, to assure an intimate lighting ambiance. The stage lighting system – This is defined by a white rood-lighting device. 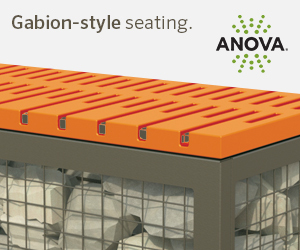 The seating system is organized in clusters with different contexts and densities. All the white chairs are single seats and are equally divided into backrests and chair benches made of zinc-plated steel. 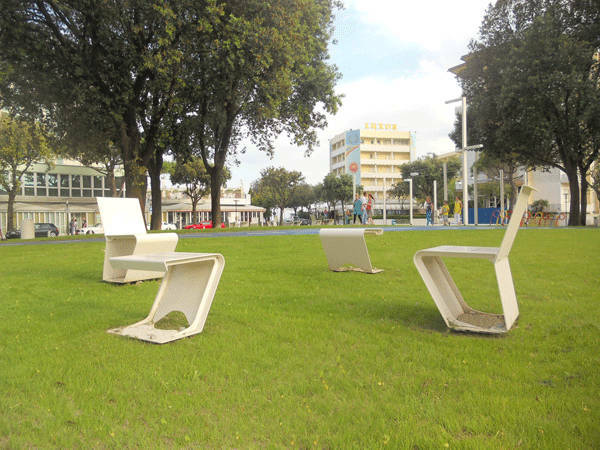 The idea is to offer users choices of the most comfortable chairs and the most suitable position according to their demand: in a group or more isolated, in the shadows or in a sunny place. A parking area for bicycles has also been added. The green area also has clusters of seating, creating some micro settings. 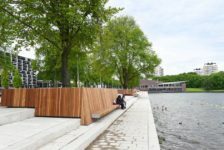 According to the ready-made principle, the wooden board has been replaced, leaning it against a zinc-coated iron structure, removable for any eventual purposes. Safety was also a consideration. The roadway has been reduced to the minimal dimension provided for by highway code and asphalted surfaced with white limestone. 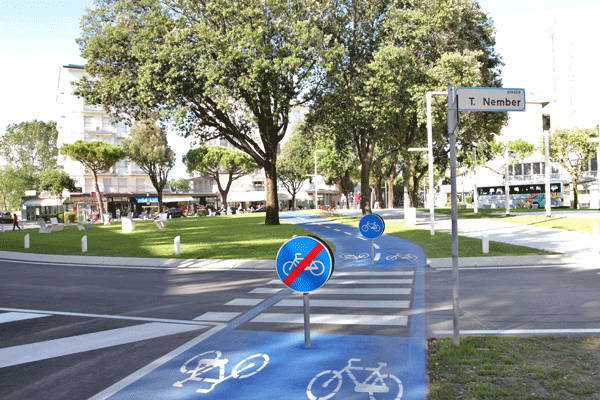 This solution aims to stress differences from the asphalt in Dei Mille and Verdi streets, setting the square apart from the surrounding roadways. All of the horizontal and vertical street signals have been changed, too, to reflect the piazza’s new use.